The progressive wing of the East Lansing, Michigan school district unveiled a plan to address White Male Privilege at a recent school board meeting. That plan involves placing multiple beehives with "peep holes" in close proximity to every playground in East Lansing. A typical bee hive contains 80,000 female worker bees, one queen (female) and about 100 drones (male). That is, about 1000 females for every male. Bee hives are icons of industry and are legendary for the cooperative, collective efforts of the workers. 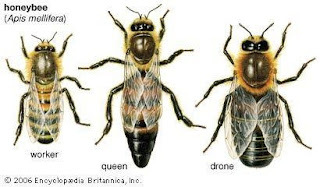 After being challenged by members of the audience that the plan addresses Male privilege but not White privilege, the progressives further revealed that one in every three hives will be hives of Africanized bees purchased within sight of the Rio Grande river.